Is Tailwind worth it? That was one of my first questions as a new blogger. I had concerns, and I wasn’t sure if bloggers were really being honest in their reviews. 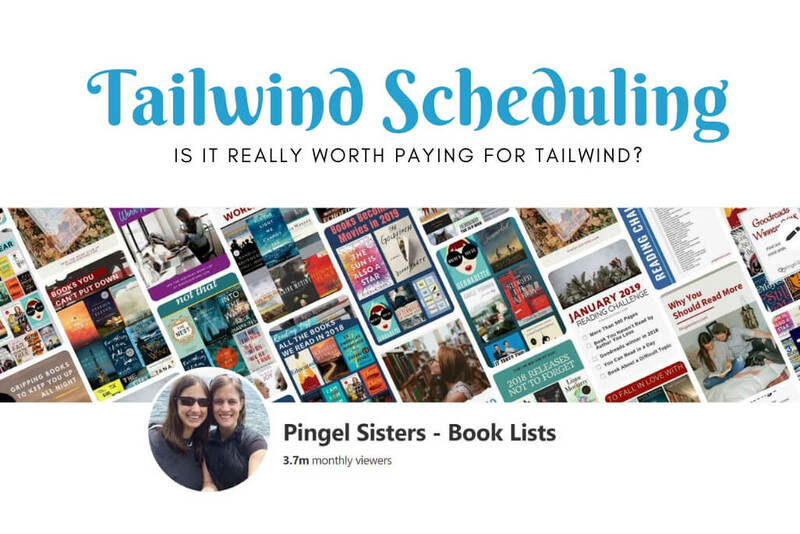 Find out all of our concerns, and what we have learned from 6 months of using Tailwind for Pinterest Scheduling. When we started our blog last year, we researched everything we could about blogging. Over and over again, we kept hearing of all the amazing results people were getting from Pinterest. We knew we wanted a piece of that action. Thus, we dived right in to Pinterest research and the same recommendation kept popping up: get a subscription to the Tailwind app. Spending money on a new blog is a scary thing. When you aren’t making any money, you wander, Is Tailwind worth it? For us, Tailwind has definitely been worth paying for. Six months ago, we were averaging 3,000 page views. Now we get over 30,000 in a month. Pinterest alone drives 81% of our traffic! It’s no coincidence that our Pinterest monthly viewers have gone from 236,000 in August 2018 to 3.7 million in the last 6 months. And better yet, we spend the least amount of time on Pinterest – only about 1 hour a week scheduling in Tailwind. So is Tailwind worth it? In our opinion, that’s a resounding yes. If you are ready to master Pinterest and are considering purchasing a subscription to Tailwind, be sure to read our advice first. We’ll address all your concerns, go over when you’re ready for a Tailwind subscription, and mention the many benefits of Tailwind for bloggers. Is Tailwind worth it for you? Continue reading to find out! Concern: Really, is Tailwind worth it or are they just trying to sell me something? When I first started blogging, all the bloggers were saying get the Tailwind app. Which made me suspicious. Is it worth paying for Tailwind? Or did bloggers just want to score affiliate sales? Let me tell you, Tailwind is the real deal. All the bloggers rave about it because it’s one of the most essential tools for most bloggers. I know we could not do without it. There is no way our blog would be able to go from 3K page views a month to 30K page views in just 6 months. Is Tailwind worth it? If you want to increase your page view, then yes! Concern: I don’t have money to spend. Is it worth paying for Tailwind? This was my problem. I hated spending money on the blog since we weren’t making any money. I wanted to just do everything for free. Sometimes you have to spend money to make money. I knew that without page views, our chances of making money were near zero. Think of Tailwind as an investment. If you are serious about turning your blog into a business, then you need to put up some initial capital. Else, you’re basically deciding your blogging is a hobby. If that the route you want to you, then great! If not, you need to treat your business like a business. Is Tailwind worth it? If you want to treat your blog like a business, then yes! Concern: Can’t I just do it manually? Sure thing! You can achieve the same results with manual pinning. But at what cost? I was in the I-can-do-it-myself camp. I had my strategy down pat, and every morning, I would cycle through and pin to all the various boards on my schedule. My results were great. My impressions quickly rose, and my page views were above average for a brand new blog with no specific niche. And then I went to Europe. 10 wonderful days split between a weekend in Paris, an afternoon in Brussels, and gorgeous springtime in Amsterdam. Jaclyn tried to keep up the pinning, but she works full-time and did not have every morning free to spend on Pinterest. Guess what. Our stats tanked. Even when I got back and started pinning again, we still struggled to recover our momentum. And I was about to take a 6 week road trip with my kids. I knew we needed a Pinterest scheduler. Moral of the story: You can do it manually, but only if you have the time to live on Pinterest. Is Tailwind worth it? If you don’t have all day to spend on Pinterest, then yes! Concern: I tried Tailwind (or a friend did) and it didn’t work. The Tailwind app is not a magical genie that will snap its fingers and hand you a million monthly Pinterest views. Sorry, but that’s not how it works. Tailwind is a tool. You could buy a top-of-the-line sewing machine, but if you don’t know how to sew, you aren’t going to end up with drop-dead gorgeous clothing. Basically, Tailwind is a Pinterest scheduler. What does that mean? It means you need to have a schedule! Sorry, but Tailwind won’t work if you don’t have a winning Pinterest strategy. Neither will manual pinning, by the way. You can’t just send things out into the void and hope it works. You need a plan of attack, and some assets to back you up. Is Tailwind worth it? If you don’t have a winning Pinterest strategy in place, then no! Wait, I thought you were trying to convince us to buy Tailwind. I am. I want to tell everything to you straight. Tailwind didn’t magically give us results either. After we signed up, our stats went up for a bit and then tanked. Why? Because we stopped using it, and we barely posted on the blog. Surprise, surprise. You can’t make something out of nothing. 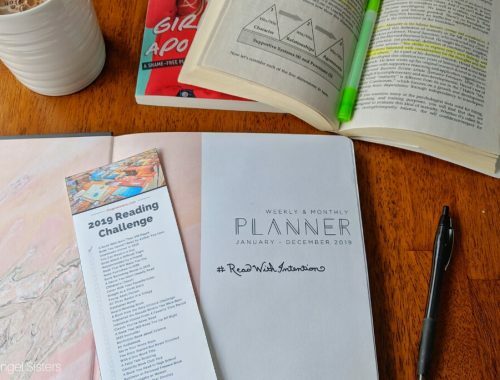 We spent the months after buying Tailwind researching and rebranding into a book blog. Then in September, we basically relaunched (without any hoopla). And you can tell the difference. Our stats steadily rose and rose and rose. We hit the coveted 1 million monthly views, and then something strange happened. Then, we skyrocketed going from 1 million to 2.4 million in just a few weeks. And today we are sitting at 3.7 million monthly viewers thanks to a few viral pins. 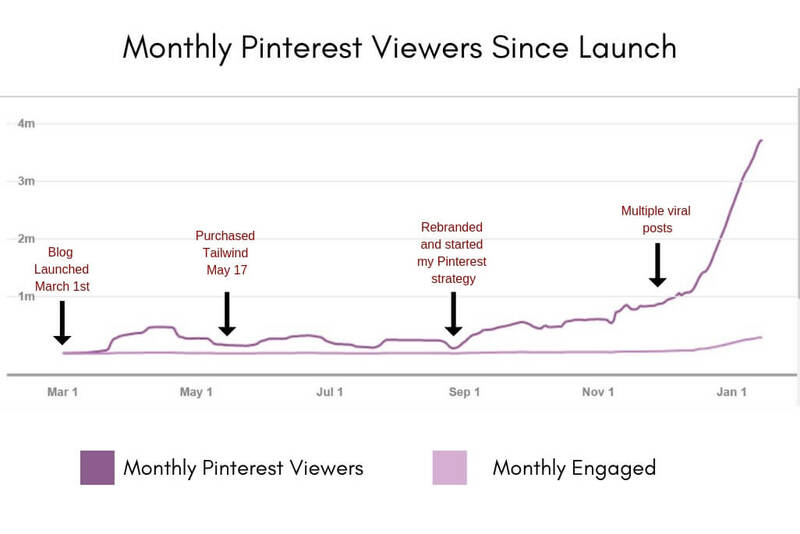 That’s the power of Tailwind when combined with a winning Pinterest strategy. It is worth paying for Tailwind after you have a Pinterest strategy in place. 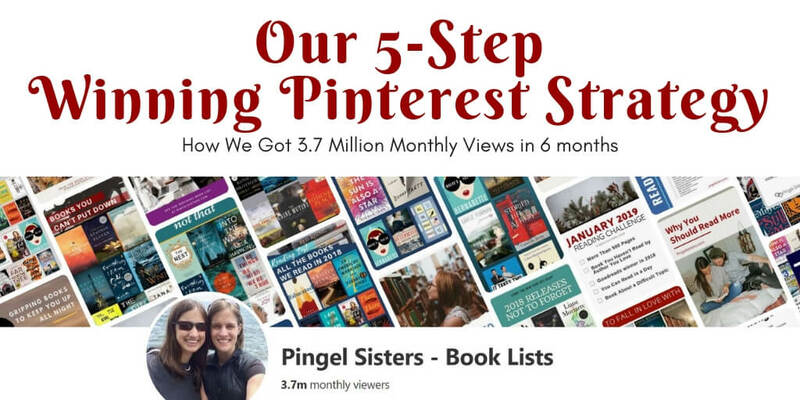 You really should read more about our 5-Step Winning Pinterest Strategy, but we just wanted to give you a quick outline of the steps. Have content and images optimized for Pinterest. Set up your Pinterest account correctly. Join as many group boards in your niche as you can. Pin a new image to all applicable boards. So, have I addressed your concerns? Now that you are feeling a little less suspicious of Tailwind, let’s talk about the benefits. Here are ten reasons why bloggers rave about Tailwind. When we first started blogging, the big debate was between Tailwind and Boardbooster. I guess that issue is moot. Boardbooster folded – because it wasn’t sanctioned by Pinterest. Tailwind is a Pinterest approved application – so you know it is safe to use. When we pinned manually, we pinned every day for almost an hour. 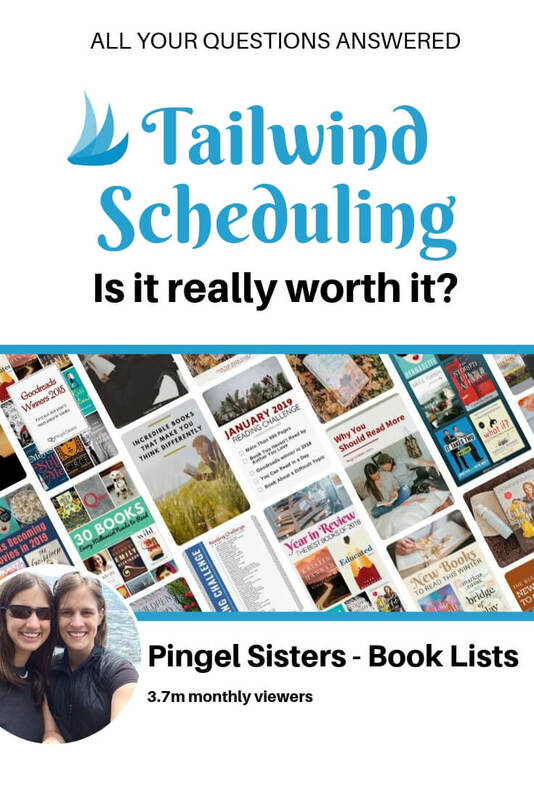 Now, we spend about an hour a week scheduling on Tailwind. That’s it! With all our free time, we’ve been able to spend time creating more content and better images. During my manual pinning days, I always did it in the morning … and whenever I had a few minutes free. Tailwind lets your spread your pinning throughout the entire day. That way, you are constantly pinning new images without having to live on Pinterest. Have a vacation coming up? Create your schedule before you leave. Don’t want to get on Tailwind every week? Then schedule two week ahead or more! One of our favorite features is Tailwind’s schedule generator. Just enter in how many times a day you want to pin, and Tailwind will generate an optimized schedule for you. It’ll show you the best times to pin and give suggestions if you want to add even more time slots. Scheduling goes so much faster with board lists. For example, I have a list of large book boards, and one for small book boards, and one for parenting. Then, when I schedule, I just have to select the list, and I can schedule to all the boards all at once. Easy peasy. Scheduling other people’s pin also goes much faster with Tailwind. With the Tailwind extension on Chrome browser, I can schedule multiple pins from a group board at the same time. And yes, you should be scheduling out from your group boards. Taking a page from Boardbooster, Tailwind has launched a new looping feature. You can promote your evergreen or seasonal pins. Just choose your settings, and Tailwind will re-promote your old pins. In our opinion, Tailwind tribes are really the 4th type of Pinterest boards. Basically, they are super active group boards exclusive to Tailwind. Your account gives you access to up to 5 tribes where you can save up to 30 submissions total a month. Many people buy more, but we haven’t needed to. Being a math major, I love me some numbers. While Pinterest’s analytics are nice, Tailwind has them beat. Pinterest will show you your top boards and how well an image is doing overall. On Tailwind, you can see how each and every board and pin is performing. Are you ready to commit to treating your blog like a business? If you’ve done your research and have created your own winning Pinterest strategy, then now’s the time to take your blog seriously. Invest in your blog, and sign up for Tailwind today! CLICK HERE TO GET A FREE MONTH OF TAILWIND!